ECS designed the Z270H4-I with casual gamers in mind, for users that want to build a reasonably powerful but compact living room PC without breaking the bank. 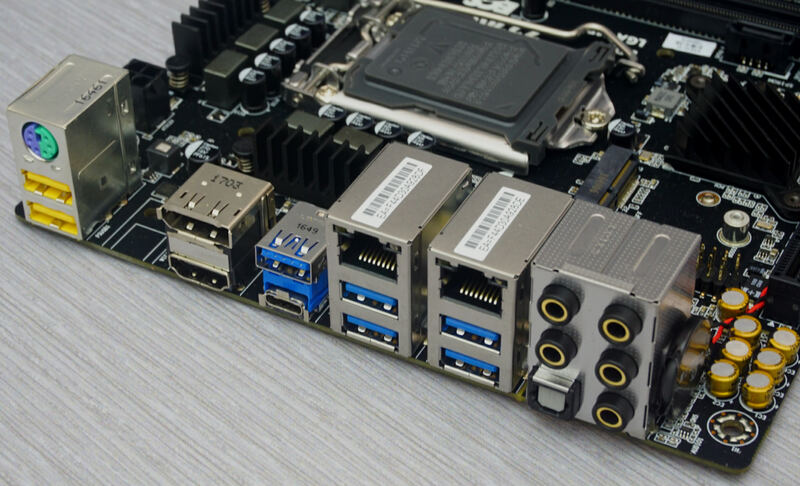 As such, the designers of this ITX motherboard tried to implement features that appeal to gamers but, in order to keep the costs down, omitted other features that we are nowadays used to seeing on every >$100 design. For example, the Z270H4-I has dual Gigabit LAN and a good audio CODEC installed but there is no USB 3.1 (10 Gb/s) chipset, limiting its users up to USB 3.0 speeds. Inside the box, we found the basic bundled items that accompany any motherboard, which are the user’s manual, a drivers/applications DVD, a metallic I/O shield, and two SATA cables. ECS also includes two wireless antennas and a bracket for them. However, the Z270H4-I Durathon 2 does not have a Wi-Fi/Bluetooth chipset onboard. 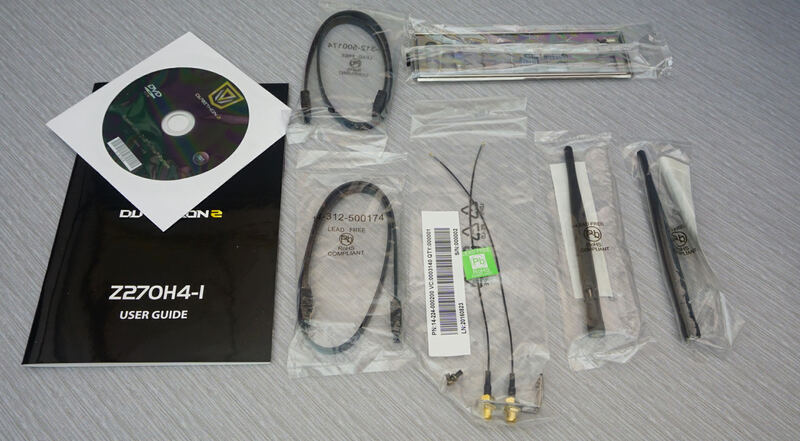 These will only be useful to users that will purchase a separate M.2 Wi-Fi/Bluetooth device. Considering the very small dimensions and cost-effective nature of the Z270H4-I Durathon 2, we did not expect that the company’s engineers would place too much effort on aesthetics. The Z270H4-I Durathon 2 is an all-black motherboard but there is no LED lighting, plastic covers, or fancy heatsinks. As a matter of fact, the heatsinks are very basic and their size is minimal. 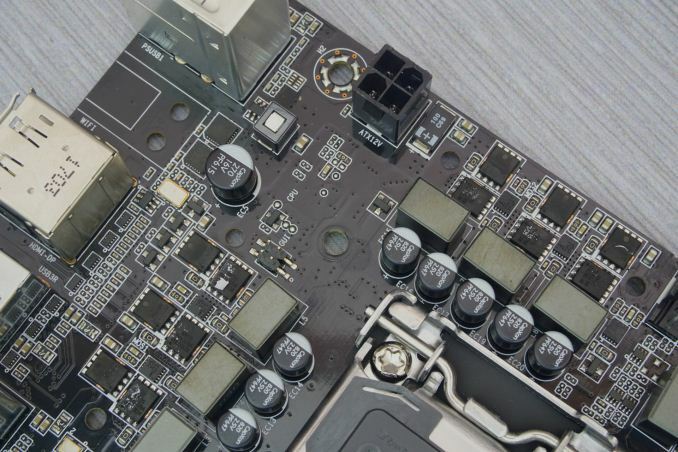 The two VRM heatsinks are particularly inadequate, barely covering half of each’s MOSFET’s surface, which is not pleasing to witness on a motherboard that is being praised for its overclocking potential. The engineers did what they could with the position of the headers. As there is no space below the one and only PCIe ×16 slot, so the front panel audio and USB 2.0 header had to be placed above it, behind the 3.5 mm audio jacks. 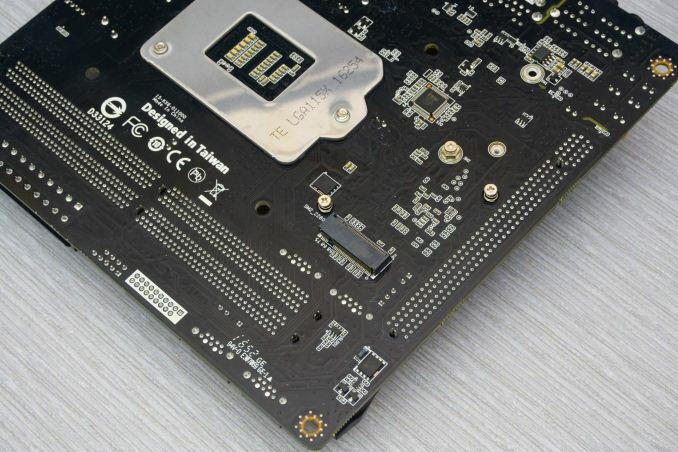 A small M.2 slot can also be seen on the lower left part of the motherboard, next to the chipset. This M.2 slot is not meant for SSD drives but for M.2 Wi-Fi/Bluetooth devices that the user will have to buy separately in order to make use of the supplied antennas. The Z270H4-I Durathon 2 has a single M.2 slot meant for 2242/2280 drives on the underside of the PCB. The front panel I/O header and the USB 3.0 header are at the right edge of the motherboard. All four SATA ports are at the lower right corner of the PCB, with two of them being right at the edge and easily accessible. The other two SATA ports are behind the RAM slots and access to them can be very difficult, or even impossible when the system is fully assembled, as the user will have to reach them between the GPU, the RAM modules and a sizable CPU cooler. There are only two fan headers on the Z270H4-I Durathon 2, both right above the CPU socket. 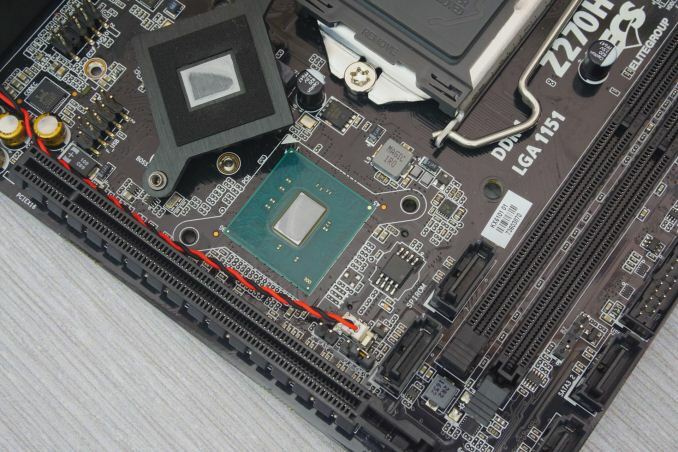 We can also notice that the CPU 12V power connector is 4-pin, which is barely sufficient for a high-end 1151 processor, let alone for serious overclocking. The rear panel of the ECS Z270H4-I Durathon 2 is rich, starting with a PS/2 combo port and two USB 2.0 ports at the top of the motherboard. The small gap between the USB 2.0 ports and the Displayport 1.2/HDMI 1.4a ports is meant for the wireless antenna bracket we saw bundled alongside with the motherboard. The HDMI port is limited to 30Hz @ 3840 × 2160 or 24Hz @ 4096 × 2160, but the DisplayPort 1.2 is capable of 60 Hz @ 4096 x 2304. There are six USB 3.0 ports, with five of them being Type-A and one being Type-C. Two USB 3.0 port pairs share their supports with one LAN port each. There are five 3.5 mm analog audio jacks, all of which are gold plated, plus one optical SPDIF port. ECS is not trying to hide/rebrand the motherboard’s components. We can clearly see that all of the motherboard’s capacitors are solid-state polymers. With the exception of the gold capacitors on the audio circuit that are supplied by Nichicon, every other capacitor is a CapXon product. CapXon is not the most popular capacitor manufacturer but they are generally considered to be reliable. As we mentioned above, the VRM heatsinks are barely adequate for the basic cooling needs of this motherboard. They are so narrow that barely cover half the surface of each VRM MOSFET, but at least they do make good contact. With the heatsinks removed, we can see a basic 6-phase VRM design that is adequate for typical use but not recommended for overclocking. The overall power circuitry and its cooling, in conjunction with the 4-pin CPU power connector, easily explains why the motherboard was power-limiting our processor during our overclocking tests. The VRM controller is an Intersil ISL69137, a high-performance 7-phase dual output controller. NIKO Semiconductor, a reputable manufacturer whose products we commonly find on mainstream motherboards, supplies the PK650BA and PK516BA MOSFETS of the power circuitry. Erhm Your spec table says "Onboard M.2 none", yet there is one m.2 slot behind the motherboard if I'm not mistaken. The lustre on the 200-series is wearing a bit thin, however, with Intel wooing consumers with the next-gen CPUs and chipset, so I'm not surprised to see some manufacturers trying to drum up a bit of business to move some inventory. I've always been a bit confused as to why motherboard manufacturers appear to cheap out on their mITX offerings (since mATX and mITX would seem to be better suited to the capabilities of the Z-series chipsets with the inherent limitations on PCI lanes than full ATX or E-ATX boards). 1) Don't cheap out on the audio codec. Use the latest and greatest. 2) If you're offering a Z-series chipset, include the power phases and connectors requires to overclock the top-of the line CPU SKU for the chipset, and choose heatsinks based on performance rather than looks. 3) Consider dropping the number of SATA connections to 2: mITX systems generally don't run more than 2 SATA drives, and many these days just run a NVMe drive. Of the SATA connections you do offer, make them RAID-able. Use the freed-up HSIO lanes for more the latest I/O connectors. 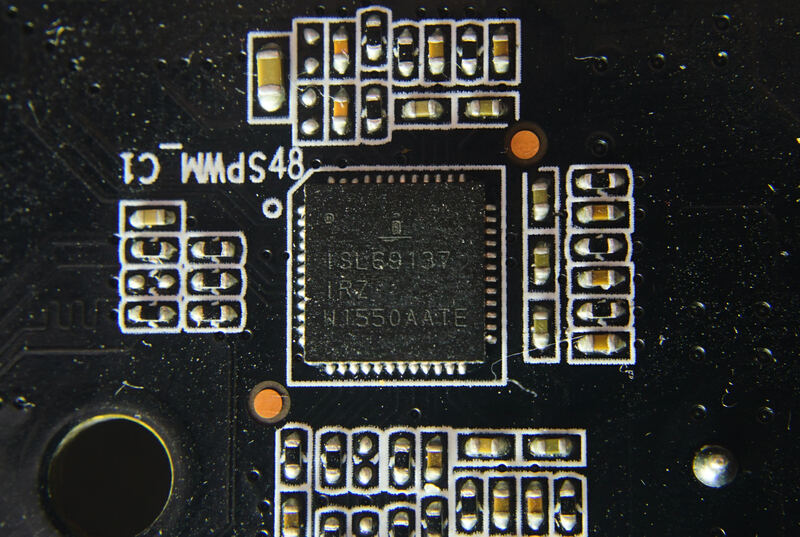 4) Especially for mITX, use the physically smallest I/O connectors practical and locate them, or at least 1 of each type, where a full-length PCIe card won't obstruct them. 5) Include diagnostic LEDs (or even a separate diagnostic PCB that connects to a header on your board?) (to save space). 6) Shamelessly copy (and, by all means, improve on) the best and most innovative features of your competitors' boards and BIOS. Maybe you're thinking of something like this? I have one, it rocks. As I've observed before, the MITX mobo form factor is trying to serve two masters with different needs, desires, and general system configurations. The first - and who the form factor was originally created for - are people who want as small of a system as possible (but who don't find the NUC/etc compelling for whatever reason). For these people, you're right that any OC feature is likely to be unused. However they're not who it's being intended for.